10216 W Pamondeho Circle, Crystal River, FL 34428 (MLS #775830) :: Plantation Realty Inc.
Well maintained manufactured pool home on a 1.13 acre lot . 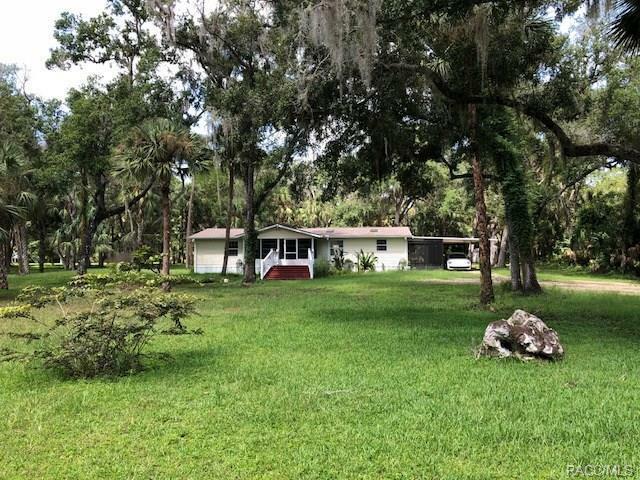 Located north of downtown Crystal River off of US 19 in the quiet community of Spring Run . This property has 3 bedrooms , 2 baths with a wonderful paver pool setting for relaxing and entertaining . Bring your boat , RV or motorcycles . Plenty of storage space in the 24 X 30 detached garage . Perfect for retirement ,weekend getaway or family home. New roof 2014.A/C 2001,recently completely remodeled . Salt Water pool with new heat pump and filter system. Front and back outdoor motion security lights.